Section 1102 of the Bankruptcy Code directs the United States Trustee to appoint a creditors committee. The committee is composed of holders of unsecured claims, excluding insiders, and has up to 7 members. When the petition is filed under Chapter 11, the debtor files a list of the 20 largest unsecured creditors. The U.S. Trustee then mails a notice to those creditors, inviting them to serve on the committee. The largest 7 claims are entitled to priority in selection to the committee. In the majority of Chapter 11 cases, there is no committee formed. They are most prevalent in the larger-asset, complex cases. The committee is authorized to hire counsel to represent it, and those fees become administrative expenses paid out of the debtor estate. In larger cases, there can be multiple committees, representing different types of claims and interests, including an Equity Security Holders' Committee. Under Section 1103 of the Bankruptcy Code, the creditors committee is to: consult with the DIP concerning the administration of the Chapter 11 estate; assist in the preparation of a Chapter 11 plan; and investigate the operation of the business and the DIP's acts and conduct. In some cases, the committee provides valuable assistance to a debtor hoping to turn its business around. Care must be taken in the formation of the committee to ensure that the interests of the creditors are fairly and impartially represented. For instance, a creditor who is also a business competitor of the debtor's may have ulterior motives in serving on a committee, e.g., to gain access to inside information and trade secrets of the debtor so as to gain a business advantage for himself. 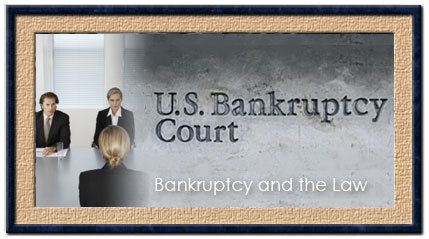 To safeguard the debtor and creditors, on motion of the U.S. Trustee or an interested party, the bankruptcy court can order a change in the membership of the committee.